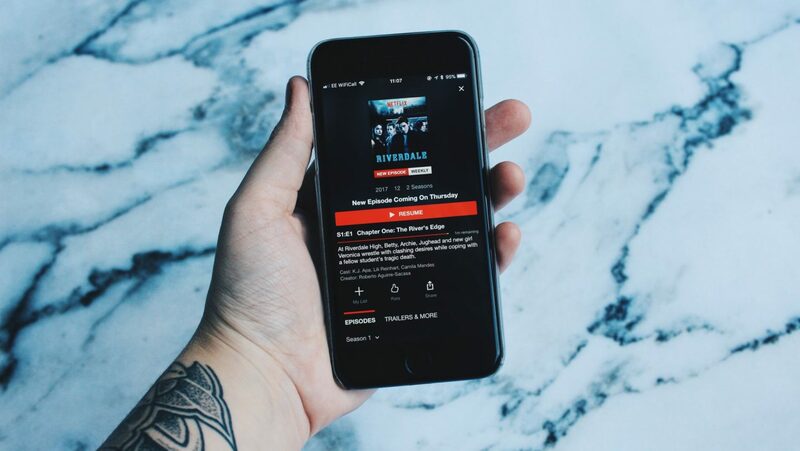 What I Could Binge Watch Over And Over – My Five Favourite Netflix Series’..
Can be you be physically addicted to Netflix?! There is absolutely nothing better than curling up in bed, with snacks and your partner, and getting engrossed in a series that you end up both loving! I spend a hell of a lot of time watching telly at the minute, due to the whole ‘being unemployed‘ thing, and there are a few that never leave the ‘continue watching’ section.. I have always loved The Big Bang Theory – I can literally watch it over, and over, and over again! I’ve loved watching the characters develop across the seasons, and enjoy flicking back to see just how different their relationships with one another were versus now! Apparently, it’s a slightly controversial choice though, with many people absolutely hating it, but I just can’t get enough.. When I first started studying law at college, I binge-watched the first series of this in a couple of days – I have no literally idea why I never any more than that?! I decided to restart the series, because it’s been so long since I first watched it, and was quickly hooked! This is one of the few series’ that has me in fits of giggles one minute and tears the next, and with seven seasons on Netflix, it’s not going to be over anytime soon.. I first found this a little cheesy, to say the least – a group of teenagers, that each have angsty relationships with their parents and each other, with the odd death or three – but a few episodes later, and I was addicted! I love the characters and the unpredictable plot, and my only complaint is the fact that the episodes are released weekly – just super impatient and excited! I’ve rewatched the first series twice now, and plan on watching the second weekly, before binge watching it all together at the end! Without a doubt, this is one of my favourite Netflix Originals.. I really don’t understand how more people haven’t discovered this – a funny, but intense and gory, cross between Scream and Scary Movie! I first watched this last year, and finished the first series in less than a day – shameful, aye?! I rewatched the first series with my boyfriend, and we watched the second series together – we both found the second just as interesting and exciting as the first, and neither of us guessed the bad guy in either the first or second series! I really, really, really hope that there’s a third..
Another series that I watched alone, and have since rewatched with my boyfriend – I had originally only watched Murder House, Freak Show and Hotel, but we’ve since watched Asylum and Coven together, and we both love it! While it’s definitely not for the faint-hearted, and one that we try to avoid watching over dinner due to it’s pretty gory nature, we’ve made our way through the series’ quickly and I can’t wait to start Cult..
What would you recommend on Netflix? "‘Strong, Fiercely Independent Perfectionist’ – Do I Match My Star Sign?" "October Favourites – The Beauty Products I Have Been Loving.."